Blood pressure readings are measured in millimeters of mercury (mmHg) and usually given as two numbers — for example, 120 over 80 (written as 120/80 mmHg). One or both of these numbers can be too high. The top number is your systolic pressure. It is considered high if it is over 140 most of the time and it is considered normal if it is below 120 most of the time. The bottom number is your diastolic pressure. It is considered high if it is over 90 most of the time and is considered normal if it is below 80 most of the time. Pre-hypertension may be considered when your top number (systolic blood pressure) is between 120 and 139 most of the time and the bottom number (diastolic blood pressure) is between 80 and 89 most of the time. Blood pressure problems may be nothing more than an imbalance in the fluids of the body, with the kidneys and adrenals needing nutritional support. Hypertension affects over 60 million Americans; almost 40 percent of those affected are African American and more than half of the population over the age of 60 have some degree of hypertension. Usually there are no symptoms, but irregular heartbeat, fatigue, headache, confusion and vision changes may be experienced. Stress is another factor in elevated blood pressure. Salt: creates a mineral imbalance directly affecting the calcium level. Processed foods and meals from restaurants are very high in sodium. Hypertensive people likely to benefit from sodium reduction include those who are African American, obese, over 65 years of age, those who have genetic tendencies towards high blood pressure, and those taking antihypertensive medications. Purchasing grass-fed organic meat and dairy, organic fruits and vegetables, and eggs from hens given a semi-wild diet corrects the balance in the food and in turn your body. Actually, eggs contain a protein that acts like an ingredient in ACE inhibitors — popular blood pressure lowering medications — according to research published in the Journal of Agricultural and Food Chemistry. They are also a good source of EPA and DHA. The eggs MUST be from hens fed on a natural diet of insects, flax seeds and little grain. Supermarket grain-fed eggs contain as much as 19 times more omega-6’s to omega-3’s, creating inflammatory conditions. Sodas: Sodas are high in phosphoric acid, also contributing to the calcium and magnesium imbalance. Coffee: Briefly raises blood pressure for 3-4 hours. Refined Sugar: when refined sugar is eaten, there is an even greater increase in blood pressure than if salt were eaten alone. Smoking: Cigarettes are high in cadmium. Cadmium poisoning is a very subtle process. It deposits in the kidneys, causing kidney damage, and settles in the arteries, raising the blood pressure. There is more cadmium in second- hand smoke than there is in that inhaled by the smoker. Tap water: Soft water is high in sodium, while hard water is high in magnesium. Tap water can contain a multitude of heavy metals. Low testosterone: Men whose testosterone levels were slightly above average were 45% less likely to have high blood pressure, 72% less likely to have experienced a heart attack and 75% less likely to be obese than men whose levels were slightly below average. A sensible, healthy, diversified eating plan works well for hypertension. Remember, it is a mineral imbalance so “everything in moderation” is the key phrase. Many people consume too much sodium chloride from processed food and lack potassium, which promotes urinary sodium excretion, reduces calcium and magnesium excretion, may induce vascular smooth muscle relaxation and affects rennin to regulate blood pressure. Low intake of calcium is linked to high blood pressure. It also regulates insulin secretion and function and is important for maintaining a healthy body weight. Low magnesium is associated with increased smooth muscle tension, vasospasms and higher blood pressure. It is required as a cofactor for enzymes involved in fatty acid metabolism for the synthesis of prostaglandins, which can influence blood pressure. It also regulates insulin secretion and function, important for maintaining a healthy body weight. Focus on dark greens, almonds and Gerolsteiner Mineral Water for calcium. Raw garlic in tablet form – but not cooked – has been found to reduce blood pressure. A review of 21 studies on humans found supplements of dried garlic containing a guaranteed dose of the active ingredient allicin consistently led to reductions in blood pressure. There is a long list of antihypertensive medications. The most common are Thiazide diuretics that increase urination and deplete magnesium, potassium, zinc, sodium and CoQ10. Although high blood pressure has primarily and most publicly been linked to sodium intake, other nutrients play a role in blood pressure control. Calcium, magnesium, vitamin D, potassium and sodium all work together to regulate blood pressure. Vitamin C, E, carotenoids and CoQ10 also play a role in regulating blood pressure. Blood pressure medications can deplete potassium, magnesium, zinc and CoQ10, and it is recommended to supplement with these to avoid deficiency related health disorders. *Interesting fact: consumption of diets that meet or exceed the recommendations for calcium, potassium and magnesium have not been associated with hypertension, even when the diet was high in sodium chloride.3,4 This means that it is the balance of minerals that is important; when one is too high it creates abnormal pressure. A lack of vitamin C results in tiny cracks in the walls of the blood vessels, which makes the body produce more LDL to fill the cracks. Vitamin C keeps the blood vessels strong, lowers blood pressure, promotes vasodilation, reduces circulating cholesterol, while also clearing the inner walls of fat deposits. It is easily depleted by stress, pollution, illness, exercise and sugar, and a review of 50,000 studies will show the most effective doses are above 1000mg. Vitamin C also promotes the production of coenzyme Q10 and may lower the harmful Lp(a). Vitamin C has also been shown to protect HDL cholesterol from lipid oxidation and lower triglycerides. Epidemiological studies demonstrate that people with the highest blood levels and daily intakes of vitamin C are at as much as a 50% reduced risk of developing or dying from cardiovascular diseases. It can also prevent seasonal allergies as a natural anti-histamine, sinus congestion and improves immunity. Vitamin C should be 100 percent l-ascorbic acid, fully reduced and non GMO. Low magnesium is associated with increased smooth muscle tension, vasospasms and higher blood pressure. It is required as a cofactor for enzymes involved in fatty acid metabolism for the synthesis of prostaglandins, which can influence blood pressure. It also regulates insulin secretion and function, important for maintaining a healthy body weight. Inadequate magnesium intake has been linked to several types of cardiovascular disease, including atherosclerosis, heart attack, angina, ischemic heart disease and cardiac arrhythmias. In the 1930’s, doctors use to prescribe magnesium for heart disease due to it’s synergistic effect on calcium to help regulate electrical impulses and prevent calcium from depositing in soft tissues. Epidemiological studies show that death rates from coronary heart disease are higher in areas where the water is low in magnesium. Today, up to 80 percent of people are magnesium deficient due to depleted water supplies and depleted top soil due to modern agricultural practices. Alfalfa provides an extra source of potassium, magnesium and trace minerals for those that do not eat enough vegetables. If stress is a major factor regarding high blood pressure, ashwagandha lowers blood pressure by blunting the excess cortisol response from the adrenal glands. The blood pressure-lowering effects of fish oil, rich in EPA and DHA, have been attributed in part to enhanced prostaglandins that promote vasodilatation and inhibits platelet aggregation. Vitamin D appears to down-regulate both renin and angiotensin production, thereby lowering blood pressure. Optimize vitamin D levels to be between 40-50ng/ml. 2.Alleyne T, Roache S, Thomas C, Shirley A. 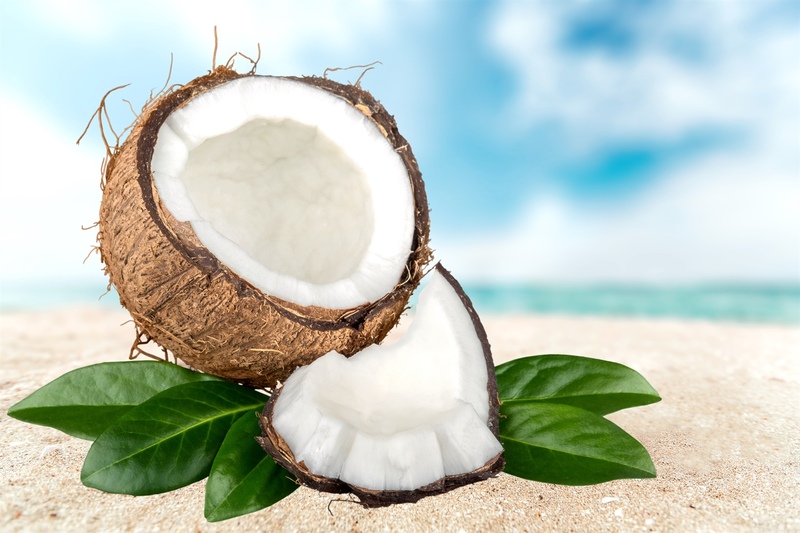 The control of hypertension by use of coconut water and mauby: two tropical food drinks. West Indian Med J. 2005 Jan;54(1):3-8.